New Appointment – It’s my pleasure to announce the appointment of Sue Mitchell Fuciarelli, M.B.A., C.P.A., as our new Vice President for Finance and Administration/Chief Financial Officer. Among her responsibilities will be the oversight of the annual operating budget for the campus. 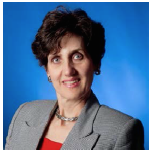 Ms. Fuciarelli has more than 20 years of professional experience as a CPA in higher education and the health care industry. She was previously the Vice President for Finance and Administration at Valdosta State University. Please join me in congratulating Ms. Fuciarelli in her new role. 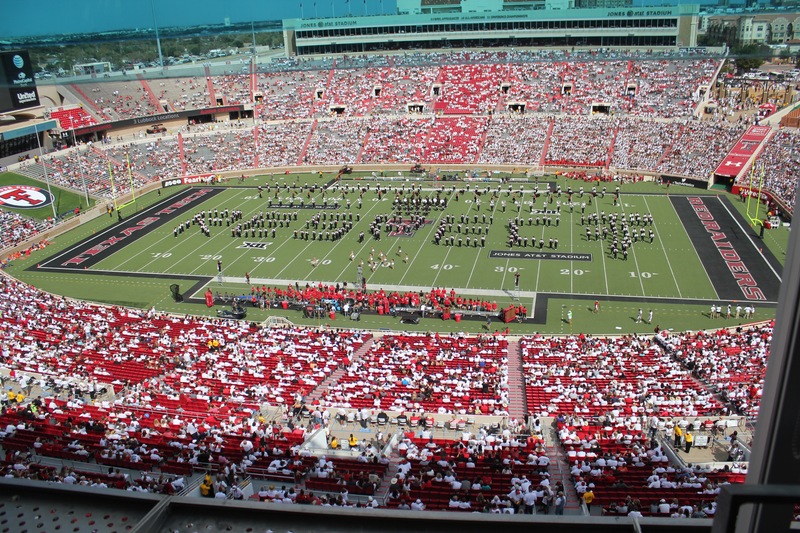 Wreck ‘Em Tech – A group of TTUHSC El Paso faculty, staff and students took the opportunity to travel to Lubbock to watch the football game against UTEP last weekend and what a great time we had. 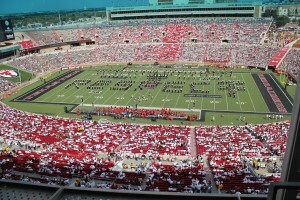 Texas Tech hosted its fourth annual Celebrate Cotton Game and fans were encouraged to wear white clothing. Lubbock County is the nation’s top cotton-producing county and Texas is the country’s top cotton-producing state. The sea of white, with some clusters of red and black, was impressive. You could feel the energy in the stadium and there was a continuous roar of excitement. In the end the Red Raiders played a good game, defeating UTEP 69-20. Tech Talk: HSC El Paso – If you haven’t already, make sure to take the time to watch Tech Talk: HSC El Paso every Monday. The weekly video, presented by Veronique Masterson, is a great way to get information about events and news happening on campus in three minutes or less. The goal is to highlight our unique research and partnerships; talented students, faculty, staff and physicians; state of the art facilities; and other elements that contribute to the ongoing growth of TTUHSC El Paso.